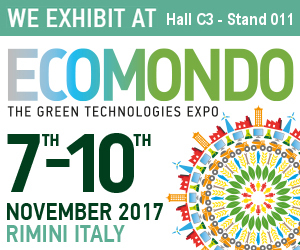 Sovatec takes part at Ecomondo 2017, the 21st. International Trade Fair of material and energy recovery and sustainable development, in Rimini from 7 to 10 November 2017. We look forward to meeting our customers at booth 011 in Hall C3.